It was kind of strange for me when Junior YS started to display less interest in Chinese since young. All along I thought if his older siblings are better in Chinese so I assumed that he will follow suit. 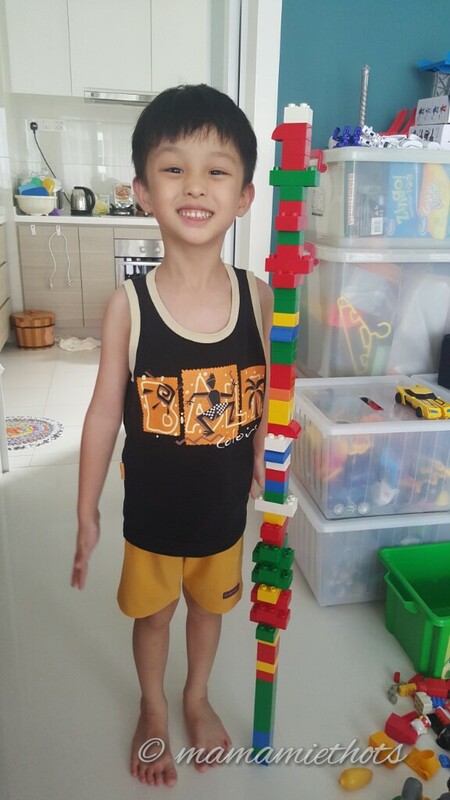 The process of trying to entice him to speak more Mandarin was quite challenging to us. Whenever we speak to him in Mandarin, he will usually replies back in English. He absorbs and responds faster when we converse in English to him. 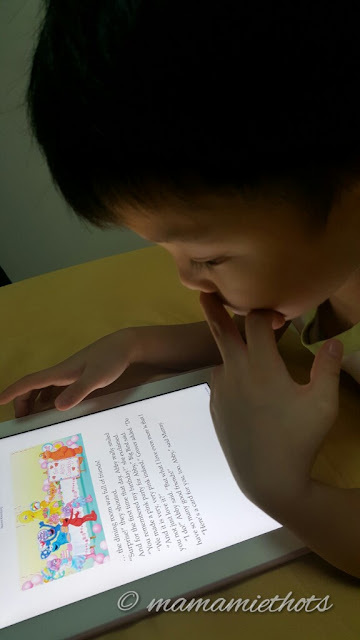 He has the ability to start reading simple words at around 3 years old. Sometimes he surprises us by some of the words he said when we thought a boy at his age would never say. Now he is five years old and he don't need me to read out word by word anymore unless he is unsure about the pronunciation. 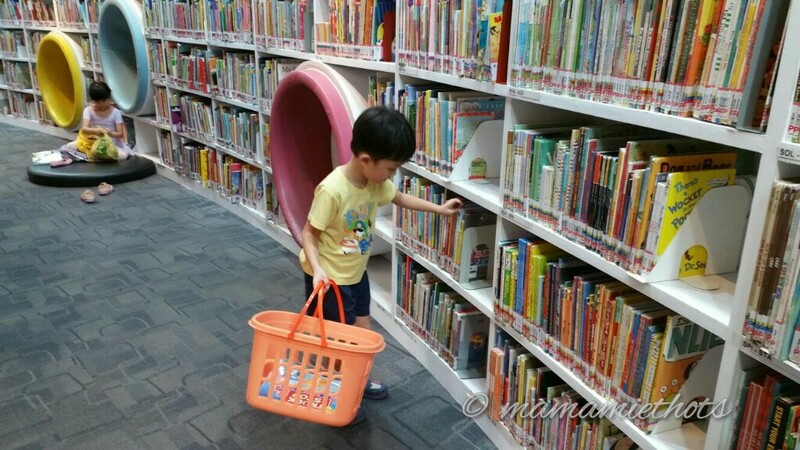 Of course, as parents we know that being bilingual is very important in Singapore. I have my fear that he might not be able to cope with his Chinese when he starts P1 (although he still have about a year more to enjoy). 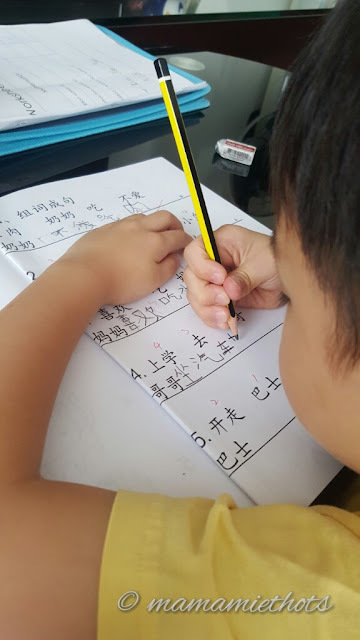 Personally I feel that he should start to put in more effort in his Chinese so that he won't feel too much to cope when he start Primary school. 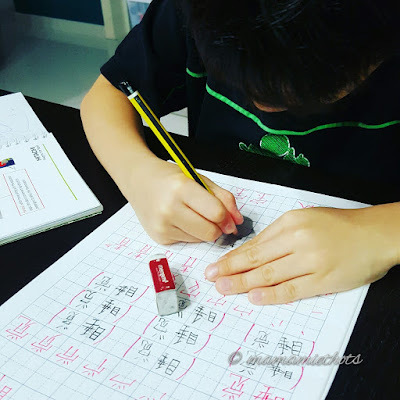 During the 4th semester of this year, I switched childcare centre for him and realised that the Chinese standard taught at the new school is slightly more difficult. They have weekly "tests" to make sure they apply what they have learnt in the school. 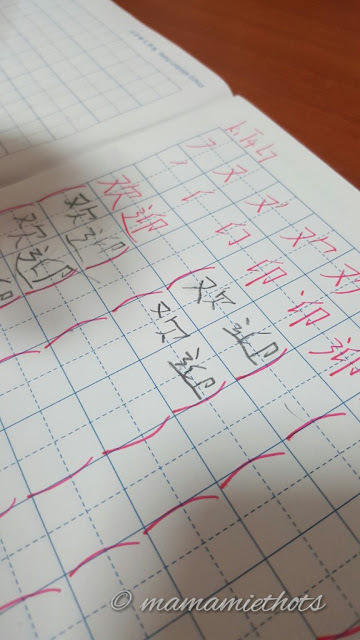 Well...I guess it's never too late to start now, he still have one more year there to improve on his Chinese.